Kirk has been a member of the Texas Senate since 2007. His law practice focuses on commercial litigation. 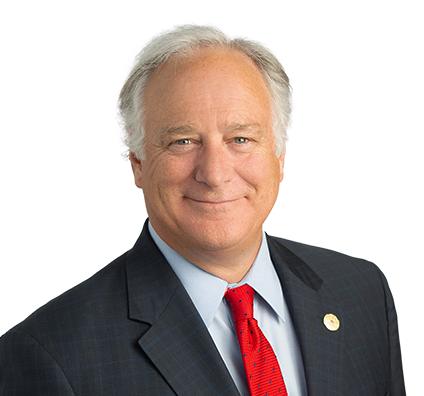 Throughout his legal career, he has represented families, physicians, businesses and some of Texas’ major universities in a variety of disputes and transactions. He is also a mediator and involved in negotiation of a variety of business transactions. He is a highly recognized speaker on a range of legal and economic development topics, having addressed business and political leaders at public policy forums across the United States and internationally. Kirk’s priorities center on education, healthcare, economic development, 21st Century energy generation, environmental protection, transportation, budget transparency, and state employees. Texas Monthly Magazine has recognized Senator Watson as one of the Ten Best Legislators and has positively mentioned him in each of its biennial evaluations since his election. It named him Legislative Rookie of the Year after he was elected in 2006. He served as Mayor of Austin from 1997 to 2001. From 1991 to 1993, Kirk served as Chair of the Texas Air Control Board, the state agency that was charged with addressing air quality in Texas. He also has served as Chair of both the Greater Austin Chamber of Commerce and the Texas Advisory Board of the Environmental Defense Fund.